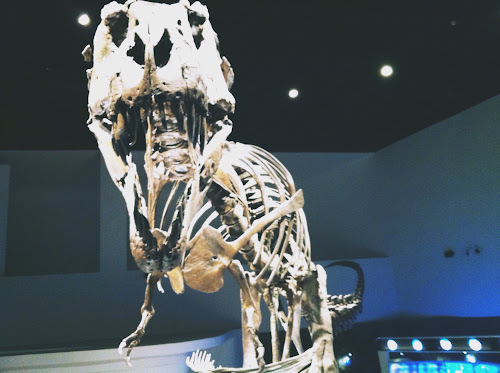 I cannot deny that I love science; it is one of the reasons why I took a degree in Biology back in college (don't ask why I didn't pursue a medical career, you already knew that). Ever since grade school and high school, science has been my favorite subject and I do remember one time back in third grade, my classmate and I had a heated argument about whether Mercury is the hottest planet in the solar system or not. It took us an hour inside the library to discuss about it. He thought that Mercury's the hottest while yours truly firmly believed it's Venus (naks palaban). Well.... Uhhhh.... that's adorkable, and at the same time, scary. Normal nine year old kids should be out, playing under the heat of the sun rather than discuss about the solar system! I miss having heated debates related to science though because I only know a few people who are sooooo engrossed with it. 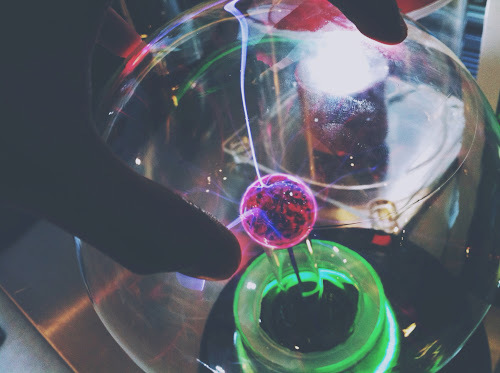 But a visit to The Mind Museum last weekend brought me back to my first love. Ahhhh, those good ol' days. 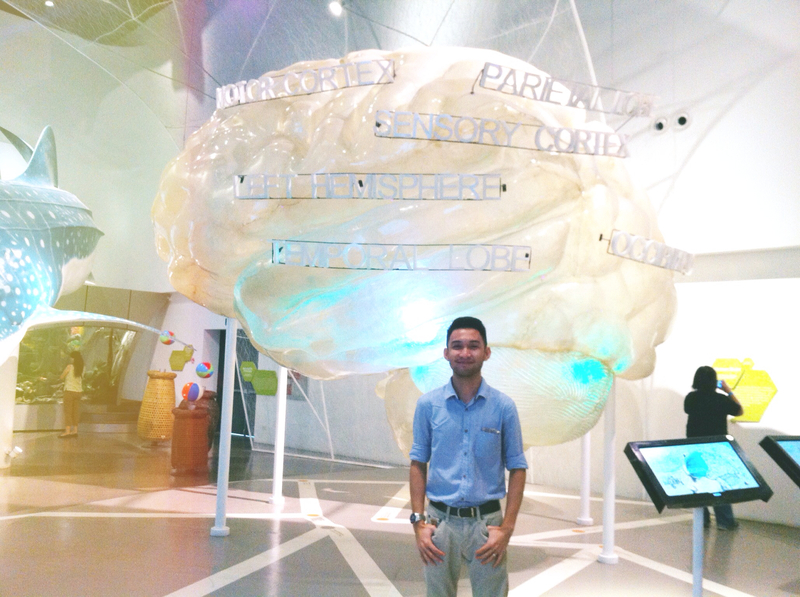 I had already read about The Mind Museum which is located at Bonifacio Global City in Taguig prior settling here in Manila last October. But it was only last week when I had time to pay a visit to TMM. I have already expected that the galleries would be about science but I never thought that I'd feel at home upon entering the museum! The galleries of the museum are arranged systematically. In order to fully appreciate the museum, one should start from the smallest unit of life to the vast realm, that is, our universe. 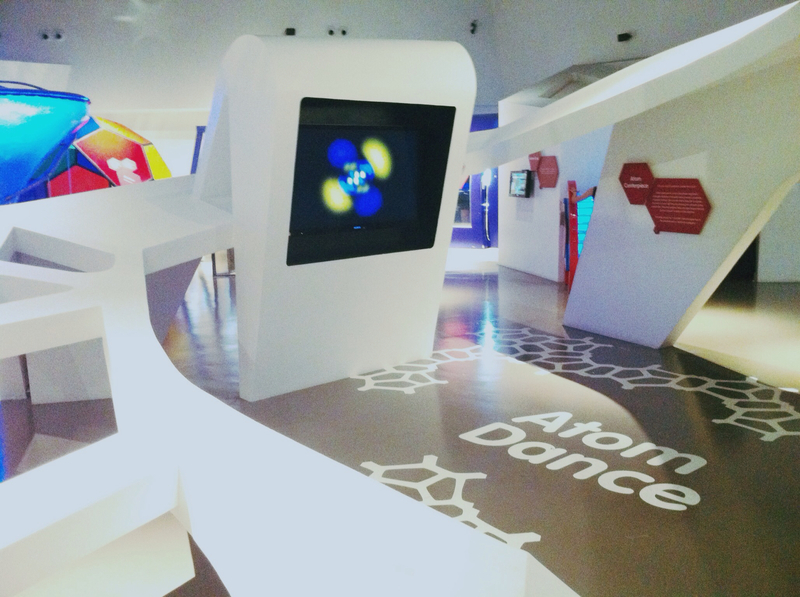 The atom gallery contains The Atom Centerpiece which contains a 3D visualization of the atom through a program called "Atom in a box". Visitors will get a glimpse of how electrons behave, which serves as an important knowledge to make the electronic tools humans use today. Gee, biglang nag flash back mga lessons ko in Chemistry. It's my favorite subject back in high school and college... at dahil paborito ko ang Chem, it took me two semesters before finishing Biochemistry back in 2nd year college. Teehee. 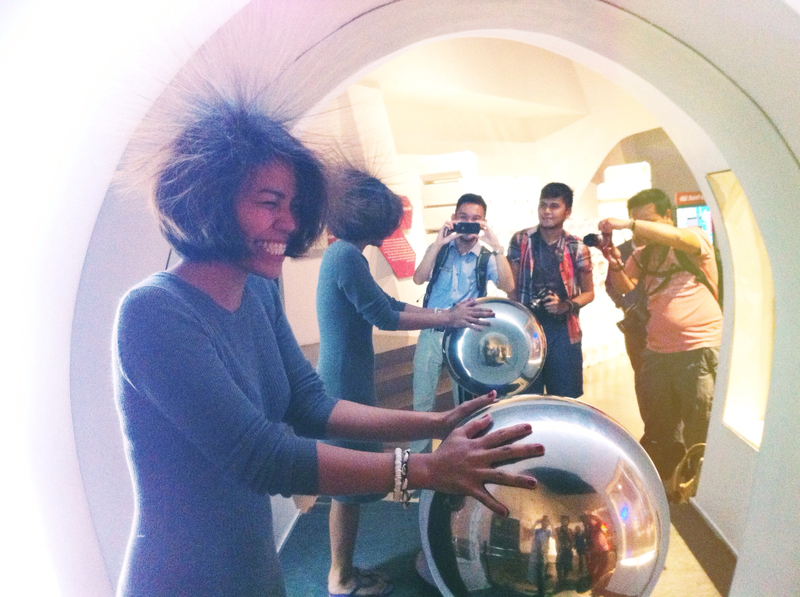 Kidding aside, the Van de Graff ball made our hair rose, literally. 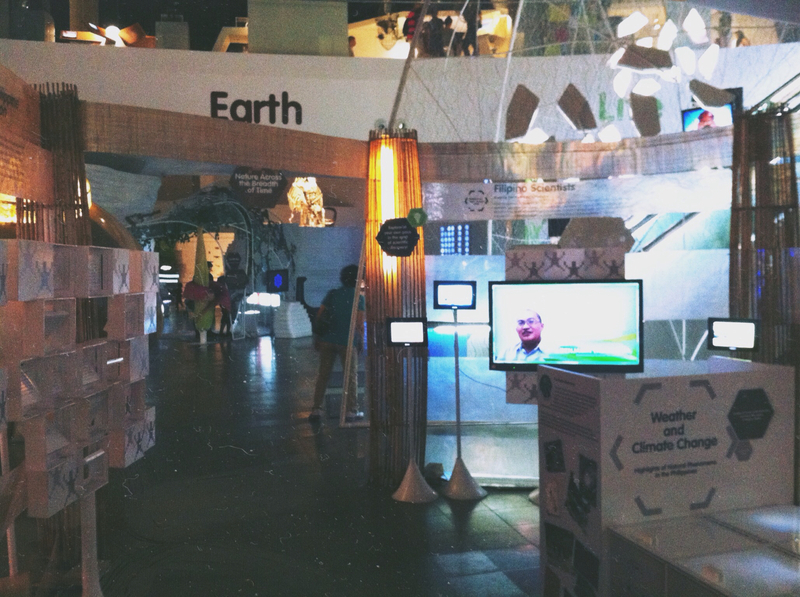 The Life Gallery is also one of the most interesting galleries in TMM. It features The Human Brain, cells, the suspended life-sized model of a whale shark (butanding in the Philippines), and many more. And now, presenting my two favorite galleries: the Earth Gallery and the Universe Gallery. The former showcases the life-sized model of a T. rex skeleton, the first in the Philippines, the profiles of the most active volcanoes in the Philippines, and a 3D presentation about the birth of our planet (the conditions of the planet billions of years ago, how our moon was made, and etc. ), as well as the formation of the Philippine archipelago. I could not help but feel giddy every time we pass by to different exhibits. The latter, on the other hand, discusses the past, present, and the future of our universe. We even went inside the mini-planetarium! Instead of chairs, we sat on memory foam to simulate lying on the ground and staring at the night sky. It was truly breathtaking and everyone enjoyed the show, be kids or adults. And oh, before I forget, The Mind Museum has monthly activities courtesy of MindBurst. 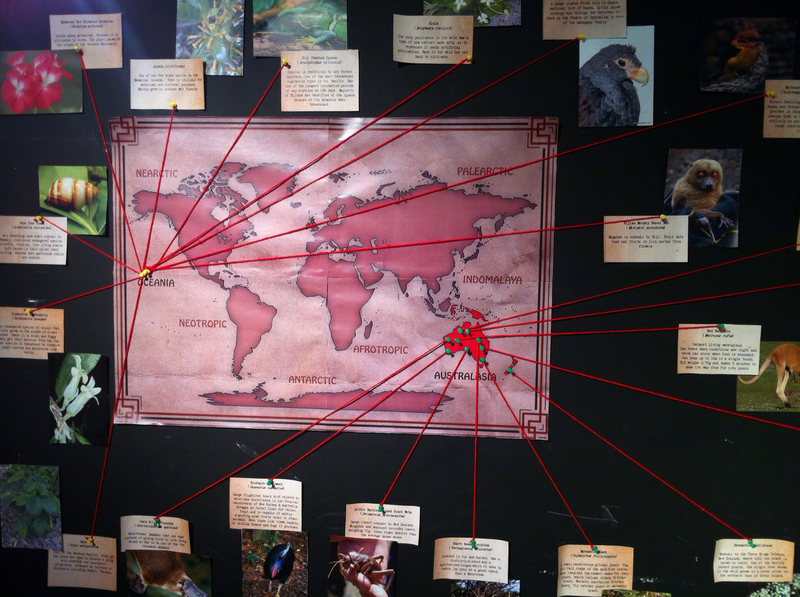 This month, they had their "Awesome Kinds of Life" show in celebration of the International Day for Biodiversity held at the Special Exhibition Hall. Topics like Exploring the Ecozones, Wild Animals, Maps of Life, and Philippine Biodiversity we discussed in a fun and interactive way. 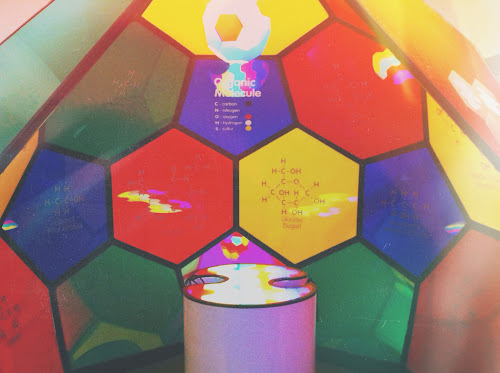 Wow, I still can't get over with my visit at The Mind Museum. Indeed, it's the best place to feed your mind!! !